GRUZJA BAŚNIOWY KRAJ to nasz bestsellerowy program wycieczki do Gruzji. Jest efektem wielu lat doświadczeń w opracowaniu perfekcyjnej trasy zwiedzania, dogodnej dla wszystkich Uczestników. W cenie jest wszystko, m.in. 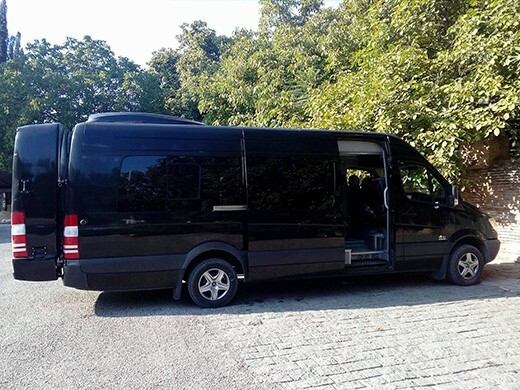 : bezpośredni przelot LOT-em na Warszawa-Tbilisi-Warszawa, komfortowe *** hotele w centrum miasta (TBILISI, KUTAISI, BATUMI, ACHALCICHE, TELAVI), śniadania w hotelach i CODZIENNIE obfite obiadokolacje w lokalnych restauracjach, najlepsi piloci-pasjonaci-specjaliści od Gruzji, codziennie wino do posiłków, liczne degustacje i atrakcje, bilety wstępu, prawdziwe codzienne życie, wspaniała gruzińska kultura i najpiękniejsze widoki, a to wszystko w KAMERALNEJ 16-osobowej grupie i znakomitej atmosferze. 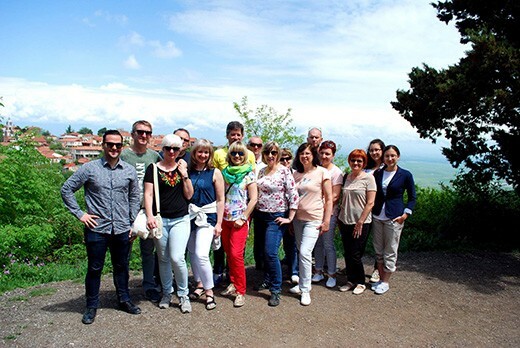 This attraction includes a Georgian cradle of wine-making where in Kvareli we will be familiarized with secrets of Kakheti wine production. The first secret will be revealed in bio grape orchard. We’ll taste various Georgian wines produced in concordance with traditional formula, handmade artistry and timeless passion. We’ll learn that life in Kakheti isn’t concerned only with wine and local people don’t live just from one Rtveli to another Rtveli – we’ll go to Gremi, a former capital city of Kakheti that existed only about 150 years, which is rich in most important architectural monuments in Georgia. History about Christianity in Georgia wil be presented while visiting an impressive David Gareja monastery complex, Alaverdi Monastery, Nekresi Monastery and Bodbe Monastery. Another destination is the town of Sighnaghi a small town located on a hill which cobbled streets will get us to observation points and National Museum with art pieces of primitivist artist Niko Pirosmani. Not many sacred objects arouse such feelings like David Gareja monastery complex (erected in 6th cent.) location of which has become subject to a border dispute between Georgia and Azerbaijan. We’ll get through semi-desert to slopes of Gareja mountain to learn about his history: why the Syrian monk settled in such a demanding region and how he managed to change caves into one of the most important centers of Georgian Orthodox Church which comprises 6 buildings of lavra, Dodo's Rka, Natlismtsemeli, Udabno, Bertubani and Chichkhituri. We will find out what “Tears of David Gareja” are and we’ll sneak into natural rock caves to admire colorful frescoes depicting very important public figures that contributed to this building erection. At the end we will admire the view from high mountains. Breakfast. We go north through the Georgian Military Road to Stepantsminda (Kazbegi) to see an inactive volcano Mount Kazbek (5,033 m over the sea level). 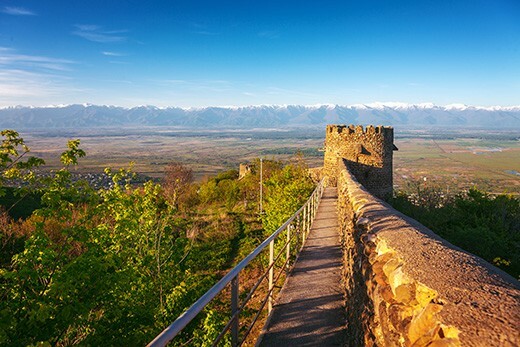 We’ll admire a magnificent fortress of Ananuri (16th – 17th cent.) which is located on the large water reservoir Zhinvali and by off-road cars we’ll to go to the world famous Gergeti Trinity Church (2,170 m above the sea level), from which the snow-capped peak of the Kazbek can be spotted. Return to Tbilisi. Dinner on the go. Accommodation in hotel. a breathtaking view on the city and two main rivers Mtkvari and Aragvi. The next place is the Svetitskhoveli Cathedral (11th cent.) famous for religious artifacts and impressive frescoes. Free time. 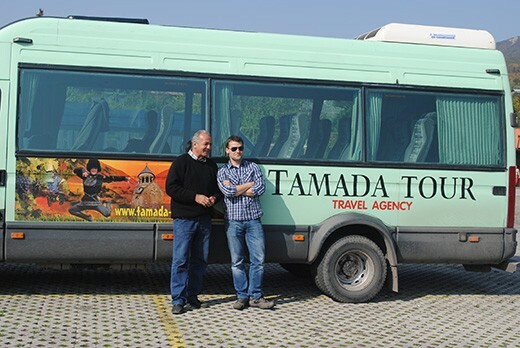 Another destination is nunnery Samtavro (4th cent.) in which Georgian rulers who converted to Christianity in 337 on behalf of the whole country are buried. The plan is also to visit a rocky city of Uplistsikhe (5th cent.) a former home for rulers and a center of pre-Christian cult. We’ll go to Gori a city famous for being a birthplace of Joseph Stalin. We go further through the Surami Pass in order to get to one of the oldest urban complexes in the world – Kutaisi (17th -15th cent. B.C.) to recognizable for legends about Jason and Prometheus. Dinner. Free time. Volunteers can take a walk to the city center to see theater and opera house and a fountain with reproduced sculptures which were found in Georgia 5,000 years ago. Accommodation in hotel. Breakfast. We go to Kutaisi attractions: a present-day headquarters of the Georgian Parliament (since 2012) and the Bagrati Cathedral (6th cent., reconstructed in the 20th cent. ), three tserkovs and Gelati Academy in which studied prolific Georgian and Greek philosophers. Moreover, the king David IV of Georgia (known as David the Builder) was also buried there. 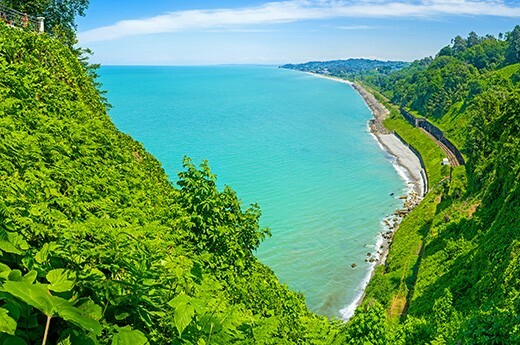 The last attractions include: the Cave of Prometheus and Batumi – a seaside city located on the Black Sea coast. We’ll take a walk across Batumi Botanical Garden (19th cent.) Dinner in restaurant in Batumi. Free time. We recommend an evening bath or cafes and restaurants with live music. Accommodation in hotel. Breakfast. Free time for sun bath and swimming. We will take a walk on seaside boulevard to the harbor and the Alphabet Tower which is an impressive sculpture depicting Georgian alphabet. Coffee break and free time. We go off to Sarpi, the westernmost point of Georgia located near the border with Turkey overlooking the mosque with minaret. On the way back, we can admire the Roman fortress from the 2nd cent. B.C. (fortress of Gonio – formerly Apsaros) where according to the legend Saint Matthias is buried. Dinner in Batumi. Accommodation. Breakfast. We head to Akhaltsikhe, which used to be headquarters for Russian army in tsarist times. 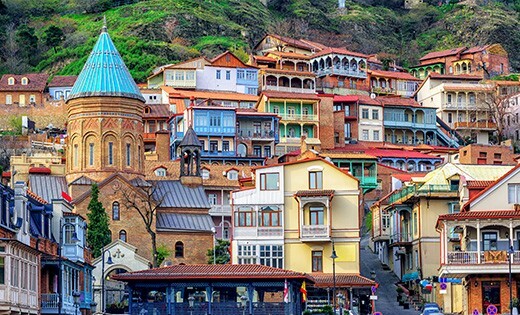 Another attraction is the SPA resort town of Borjomi. Then, we take a walk across Borjomi Central Park (20th cent.) to taste this exquisite, sanative water directly from the spring. Dinner in restaurant. 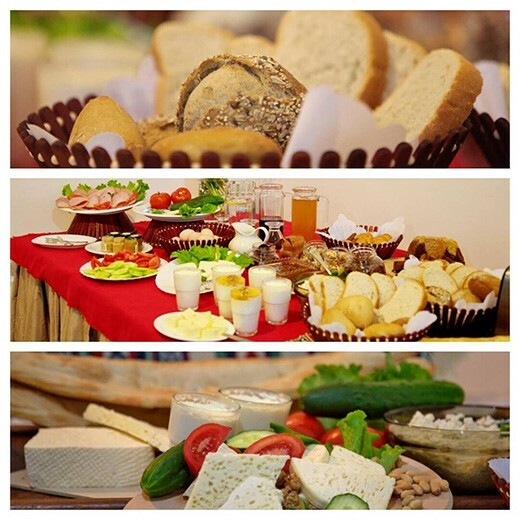 Accommodation in hotel in Akhaltsikhe. Breakfast. The first destination is the medieval architectural phenomenon: the excavated in mountains town of Vardzia (12th – 13th cent.) and a great Khertvisi fortress (2nd – 12th cent.) which was said to be destroyed by Alexander the Great. A small coffee break and return to Tbilisi. Dinner. Accommodation. Breakfast. We go Kakheti, one of the oldest regions of Georgia and the cradle of winemaking. Attractions include: David Gareja monestary complex (6th – 12th cent.) located on a semi-desert near the border with Azerbaijan, spectacular city of Sighnaghi (18th cent. ), known as Georgian Carcasonne and Bodbe Monastery (9th – 17th cent. ), a nunnery town with a tomb of Saint Nino from Cappadocia who introduced Christianity in Georgia. We’ll also visit Georgia National Museum and the exhibit of the works of Niko Pirosmani and a collection of sculptures from 5,000 years ago. Dinner in a fancy restaurant in Sighnaghi. Accommodation in Telavi, the capital of the region. Breakfast. The Kakhetian architectural sacred and secular pearls include: Alaverdi Monastery (19th cent. ), Gremi (15th cent.) – a medieval town and former capital of Kakheti and the monastery complex Nekresi (4th-16th cent.). Another attraction Wine House Kindzmarauli Corporation in Kvareli where we’ll learn about the processes of distinctive Georgian art of winemaking. You have the opportunity to purchase wine for a good price. Dinner. Accommodation in Telavi. Breakfast. Shopping on the oriental marketplace and we say goodbye to Telavi. On the way back to Tbilisi, we visit Tsinandali (19th cent.) with the garden and palace belonging to Alexandre Chavchavadze, Dry Bridge Market – a local flea market where you can buy hand-made works and antiques. 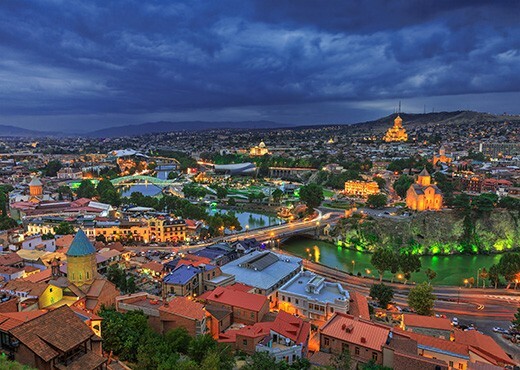 Last chance to take a walk across the Tbilisi old town. Farewell dinner in a fancy restaurant. Free time. Accommodation in hotel.